Published Work - author. mother. traveler. wife. 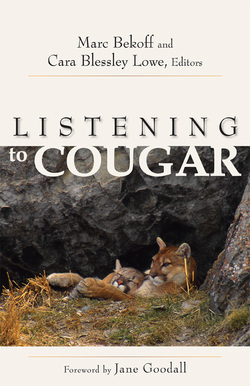 "This excellent and compelling collection of primarily personal essays by conservationists on their encounters with cougars successfully gives voice to a "controversial" animal....With its wide range of scientific and cultural approaches, this impressive collection will help to shed light on America's greatest cat." 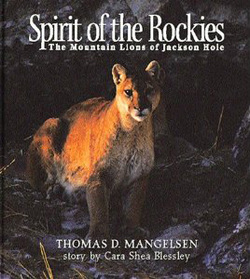 "...Collected here is a series of essays about the cougar, about its effect on the human psyche, about its place in the ecosystem, and about the emotional effect of viewing one. At times mystical, at times poetic, these tales of the meeting of human and cat are evocative of wildness and nature, both of which we all crave on some level." "...This well-written and informative volume is highly recommended for all public and academic libraries and natural history collections focusing on animal behavior." 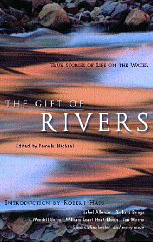 Contributors to The Gift of Rivers include Isabelle Allende, Barry Lopez, Wendell Berry, Jan Morris, William Least-Moon, Richard Bangs, Simon Winchester, and many other distinguished and emerging voices-all celebrating rivers, literally and symbolically. A thoughtful introduction by former U.S. Poet Laureate Robert Hass describes the way in which rivers have fueled the imagination and spawned cultures since the beginning of time. Contributing Author: "Waiting Out the Platte"
excerpt: "The energy in the blind builds. While some members of the hunting party continue to wheeze away into their goose-callers, others reach behind them for their guns, undo the safety latch, and hold very very still. The elders allow the younger kids to aim first. One has never got a goose, others have been unlucky so far this season. With the first crack from the barrel, the geese, already gliding in on cupped wings, turn and bank sharply to the left, to the right. In a mad rush to get as far away from that island as they can they break any pattern of togetherness for a few tense seconds. Their sole aim is to get back up into a thermals. Other shots fire. The river rushes by outside; the polyester decoys quiver on their sticks." excerpt: "A colony of survivors in a harsh northern land, a grove of aspen trees endures by the grace of a single and often centuries-old network of roots. Enduring extreme climates is built into these trees' make-up: Delicate leaves survive brutal winds because they are attached to strong, flat stems, lending the leaves the fluttering appearance of the tree's Latin namesake: Populus tremuloides." As a child, editor Bekoff wondered, "What is it like to be a dog or a cat or a mouse or an ant?" 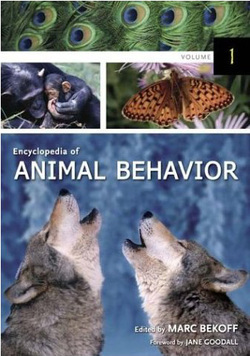 The Encyclopedia of Animal Behavior will be of interest to anyone who has ever been curious about the world of animals. The essays, written by scholars and researchers at a level appropriate for the general reader, cover all aspects of animal behavior and range in length from about 300 to 7,000 words. 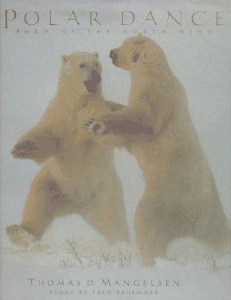 "...The book's focus is on the polar bear but is balanced with images of walruses, seals, foxes, birds, characteristic vegetation, and the seasonally changing landscape. Mangelsen has surpassed his goal of creating a "beautiful picture book on bears," as this volume also presents a learning forum for those who seek an understanding of the Arctic but are unlikely to travel there. Sitting down with this book is an absorbing experience that will leave the reader with a new respect and admiration for the Arctic and its inhabitants. Highly recommended."